Today is the big day for those looking to save a bit of coin on the purchase of an Oculus Rift and a PC to power the experience as Amazon, Best Buy and the Microsoft Store are now accepting pre-orders for Rift bundles. Pricing starts at $1,499 for the Asus G11CD-B11 bundle which includes a desktop powered by a quad-core Intel Core i5-6400 processor alongside 8GB of memory and an Nvidia GeForce GTX 970 graphics card. If you recall, the recommended specs from Oculus VR call for an Intel Core-i5 4590 or greater, at least 8GB of RAM and an Nvidia GTX 970 / AMD 290 equivalent or better. In terms of pure processing power, this entry-level Asus bundle just barely meets the recommended hardware specs. On the opposite end of the price spectrum is the Alienware Area 51 bundle. For $3,149, you'll get a desktop loaded with Intel's Core i7-5820K processor (six cores, 12 threads), 16GB of RAM and an Nvidia GTX 980 video card. This configuration also comes with a 128GB SSD and a traditional 2TB hard drive. Each bundle also includes an Oculus Rift VR headset, sensor, remote, an Xbox One controller and two games: Lucky's Tale and EVE: Valkyrie Founder's Pack. 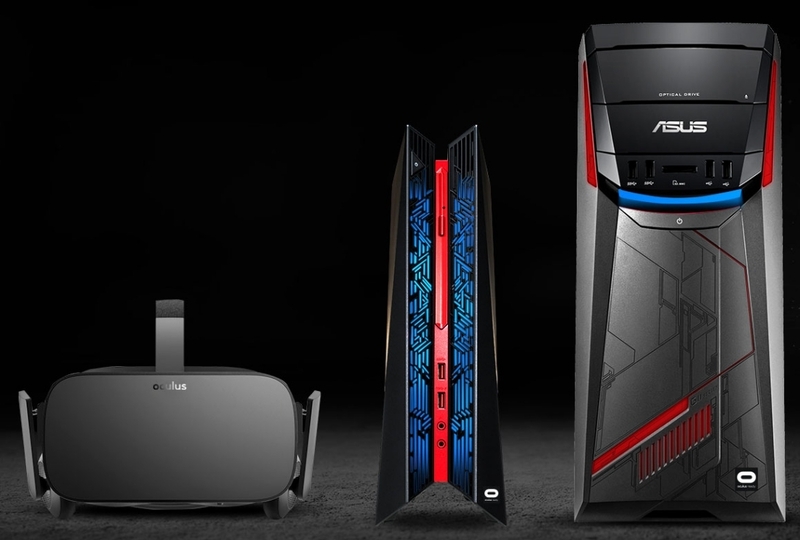 As of writing, the only three PC makers participating in the Oculus Ready PC program are Asus, Dell and Alienware (Dell's gaming-minded subsidiary). That's likely to change moving forward, assuming of course that Oculus sticks with the program. If you have the time and / or know-how to build your own system, that's probably the best route to go as you can get the exact combination of hardware you're after. Another option is to simply upgrade your existing machine if it doesn't quite meet Oculus' recommended specs.